Accused Ponzi scheme swindler Bernard Madoff's court appearance Wednesday was also a dry run for Thursday when hundreds will file in the juror assembly room. NEW YORK — Disgraced financier Bernard Madoff unexpectedly revealed Tuesday that he will plead guilty to all charges — without a plea deal — and face a prison sentence of up to 150 years for swindling billions of dollars in one of the largest investment schemes in U.S. history. An attorney for the 70-year-old former Nasdaq chairman told the judge during what was expected to be a routine hearing that he intends to plead guilty this week to all 11 felony counts, including securities fraud and perjury. Madoff is accused of running a gigantic Ponzi scheme, defrauding billions of dollars from retirees, charities, school trusts and even Holocaust survivors. 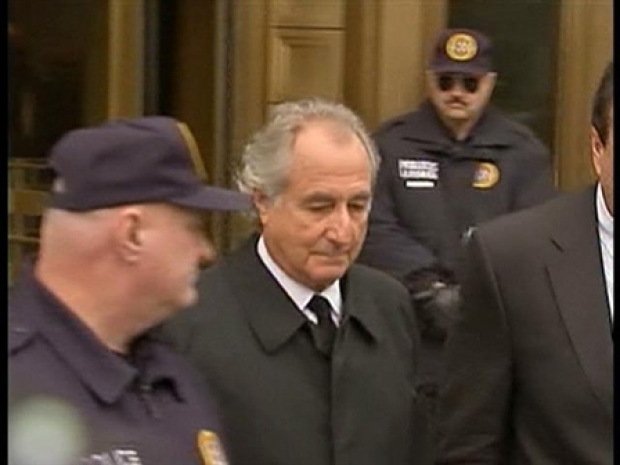 Madoff, who wears a bulletproof vest, arrived more than three hours before the hearing in an attempt by authorities to avoid confrontations with investors. Several lawyers for investors showed up as spectators, but the courtroom was largely packed with reporters. 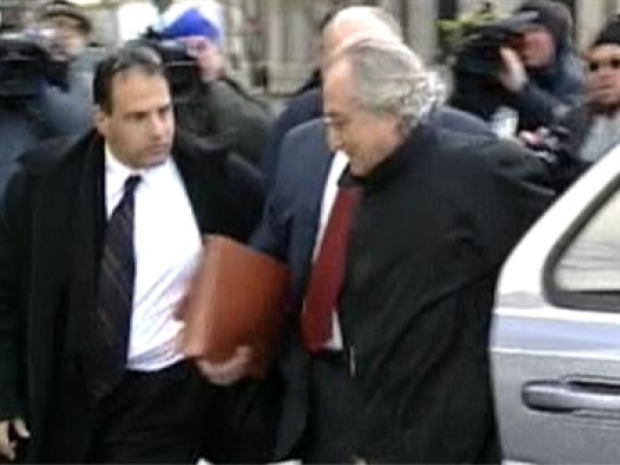 Alleged Ponzi schemer Bernard Madoff leaves his court appearance Tuesday in which prosecutors told a judge that Madoff could face up to 150 years in prison. Madoff buttoned his jacket and straightened it as he rose from his seat to speak. Aside from occasionally speaking with his lawyers or writing on a sheet of paper in front of him, he looked forward. Asked by the judge if Madoff would plead guilty Thursday, his attorney Ira Sorkin said: "I think that's a fair expectation." U.S. District Judge Denny Chin asked Sorkin if Madoff would plead guilty to all 11 counts. "Yes your honor," Sorkin answered. Madoff slumped back in his chair during the exchange. Why Cut a Deal With Madoff? A plea deal is in the works for Bernard Madoff -- the alleged mastermind of a $50 billion Ponzi scheme that defrauded tens of thousands of people. Chin said he would not sentence Madoff for several months after Thursday's hearing. In court documents, prosecutors revealed some details of how the fraud was carried out since the 1980s, saying Madoff hired many people with little or no training or experience in the securities industry to serve as a "back office" for his investment advisory business. Madoff generated or had employees generate "tens of thousands of account statements and other documents through the U.S. Postal Service, operating a massive Ponzi scheme," prosecutors said. The money wasn't invested, but was used by Madoff, his business and others, prosecutors said. Authorities said he confessed to his family that he had carried out a $50 billion fraud. In court documents filed Tuesday, prosecutors raised the size of the fraud to $64.8 billion, saying Madoff's records falsely claimed that amount was in 4,800 client accounts in November. Prosecutors reserved the right to pursue more than $170 billion in criminal forfeiture, according to court documents. That represents the total amount of money that could be connected to the fraud, not the amount stolen or lost. In his own court filing Tuesday, Sorkin said the government's forfeiture demand of $177 billion was "grossly overstated — and misleading — even for a case of this magnitude." 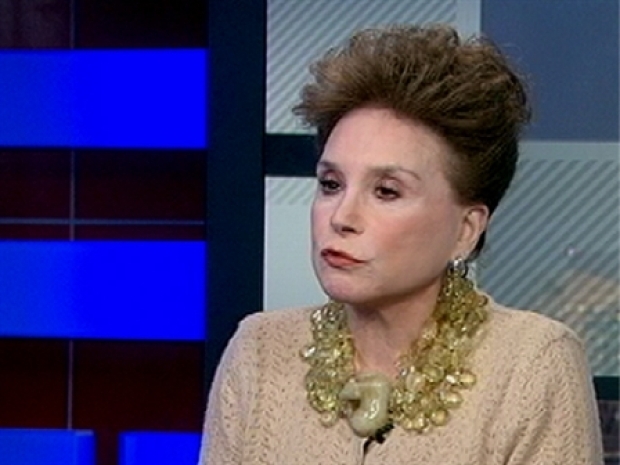 "The purpose of this letter is not to minimize Mr. Madoff's culpability. However, we wish to notify the court that the issues related to forfeiture, restitution and sentencing in this matter are highly complex and will require extensive time to resolve and warrant discovery to the defense," Sorkin wrote. Sorkin said Madoff had paid redemptions to investors, "a number likely in the billions." At least 25 Madoff investors have asked to speak Thursday under provisions allowing victims of crime to appear at a plea hearing. Chin said he would limit investors who want to speak to those who challenge whether the plea should be accepted or whether Madoff should be allowed to remain on bail pending sentencing. "There is no plea bargain here. Those victims who objected to a plea bargain no longer have a reason to object," Chin said. Attorney Jerry Reisman, who represents more than a dozen Madoff investors, predicted the plea hearing would be "a zoo." "I will tell you my clients are outraged by his being able to escape with a guilty plea," he said. But Chin told prosecutors to limit the number of victims who will speak in court and make sure they conduct themselves in a "respectful and dignified manner." Madoff was charged with securities, investment adviser, mail and wire frauds along with money laundering, making false statements, perjury, making a false filing with the Securities and Exchange Commission, theft from an Employee Benefit Plan and two counts of international money laundering. The charges "reflect an extraordinary array of crimes committed by Bernard Madoff for over 20 years," U.S. Attorney Lev L. Dassin said in a release. "While the alleged crimes are not novel, the size and scope of Mr. Madoff's fraud are unprecedented." In addition to prison time, he said Madoff faces mandatory restitution to victims, forfeiture of ill-gotten gains and criminal fines. He also noted that the government has not entered into any agreement with Madoff about his plea or sentencing and that the filing of the charges do not end the matter. "Our investigation is continuing," Dassin said. Tuesday's hearing was supposed to center on Madoff's agreement to waive any potential conflicts of interest involving his attorney, Sorkin. Madoff, speaking softly, acknowledged that Sorkin might be conflicted in his loyalties if his case ever went to trial because Sorkin's family had invested more than $900,000 with Madoff and because Sorkin once represented two accountants linked to Madoff in a securities action.